Mountaineering (also referred to as ‘mountain climbing’ or ―mainly in Europe― ‘Alpinism’) is the sport of climbing a mountain. Regardless of the length of the trip ―which can range from a few hours to multi-day expeditions―, mountaineering is more physically demanding than hiking. Mountains often provide a mixed terrain (with presence of rock, ice and snow), so climbers need to be able to navigate through a wide variety of conditions. Depending on the case, mountaineering may involve using technical equipment and combining a series of related skills like scrambling, climbing, glacier travel, ice climbing or mixed climbing. Besides reaching a summit or completing a ridge traverse, the true success (and the main objective) of a mountaineering trip lies on overcoming safely every hazard along the route. Most challenges in the mountain derive from the terrain’s characteristics: crevasses, avalanches, rockfall, glaciers, etc. High altitude (specially when attempting a peak over 4,000 meters) and adverse weather conditions are two other essential factors that may add difficulty to a mountaineering trip. Other factors are directly related to mountaineers themselves, including their physical condition and acclimatization, technical skills, equipment, orientation, resourcefulness and decision-making skills. Mountaineering is mostly practiced in groups: team-work and support are very important parts of the activity. When is the best time of the year to practice it? Mountaineering trip in the Ecuadorian Andes. Photo: Fredy Tipan. The best conditions for a mountaineering trip are generally during Spring, early-Autumn and Summer. These seasons provide more pleasant and stable weather conditions, and allow mountaineers to avoid heavy snow falls, extremely cold temperatures and strong winds. Many mountains have a specific ‘peak season’: a time of the year when climbing is more popular. During peak season, all services on the mountain (mountain huts, gondolas) are fully-functional, while most of them close in the off-season. Some routes are only open during the official climbing season as well. On the downside, climbing a popular mountain in peak season ―and specially during weekends or holidays― usually also implies more crowds. Winter mountaineering is considered a more advanced stage in mountaineering, which requires specific equipment and a more complete technical training. Winter conditions add technical difficulty to all mountain climbs. Besides, the risk of avalanches is bigger during this time of the year. Winter mountaineering is only recommended for mountaineers with previous experience. Winter mountaineering in the German/Austrian Alps. Photo: Bernd Eberle. Mountaineering helmet (to protect from rockfall). Camping items: 4-season tent, sleeping bag (check climate conditions), backpack. Some guides who lead mountaineering trips include their clients’ necessary equipment in the price. However, in other cases, you will need to take your own equipment or rent it. 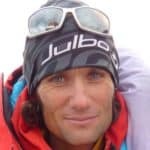 Why hiring a guide for a mountaineering trip? Mountain traverse in the Swiss Alps. Photo: Edward Bekker. Going on a mountaineering trip with a certified mountain guide is always recommended, both if you don’t have much experience in the mountains or if you want to accomplish more challenging goals. A certified guide usually knows the area very well, can handle the logistics of the trip and above all, is responsible for the group’s safety. 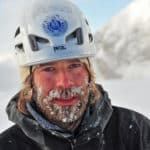 Here at Explore-Share.com you’ll find many qualified mountain guides. 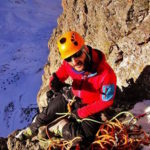 Many of them are certified by the IFMGA (International Federation of Mountain Guides Associations) and were trained under the most rigorous international standards. You can also check out mountaineering courses, which are designed either for beginners or advanced climbers. Taking a course is the best way of honing your skills on the terrain and learn from a professional guide! Mountaineers on the summit of Matterhorn, Swiss Alps. Photo: Gauthier Poncelet. 1| French Alps. The cradle of alpinism boasts several classics, including the iconic Mont Blanc. 2|Cordillera Blanca, a stunning mountain range with many 4,000m summits, tucked deep in the Peruvian Andes. 3| Nepal, the ultimate goal for every mountaineer. Mountain expeditions to the summit of the imposing eight-thousanders of the Himalaya take several weeks and are definitely a once-in-a-lifetime experience! 4| The Swiss Alps: Jungfrau, the Monch, Eiger and, of course, . These mountains are full of some of the big names in the mountaineering world. 5| Russia: mountaineering in the Caucasus Mountains should definitely be on your bucket list! Not only do they have Mt Elbrus, the highest peak in Europe, but also many other exciting mountains to climb. 6| The Kyrgyz mountains are still under the radar, but deserve a place on this list! From the easiest 7,000 m peak to climb, Lenin Peak, to the beautiful mountains of Ala Archa, this country is a mountaineering gem. 7| The Ecuadorian Andes provide mountain adventures for all levels! The highlights are the big volcanoes: Chimborazo (the highest peak in the country) and Cotopaxi. 8| Head to Argentina for two majestic summits that break all the records: Aconcagua, the roof of America and one of the Seven Summits; and Ojos del Salado, the highest volcano in the world at 6891 m.
9| The Japan Alps are a great mountaineering destination, specially for beginners or those who want to hone their skills to pursue bigger challenges. 10| Denali (6190 m), also known as Mount McKinley, is the highest peak in the United States and also one of the Seven Summits. It’s located in Alaska, very close to the Arctic Circle, so temperatures are below freezing! BONUS: Looking for a peak to get started on mountaineering? Don’t miss our recommendations for the best summits for beginners in the Alps and the top 5 peaks for beginners in the Andes.